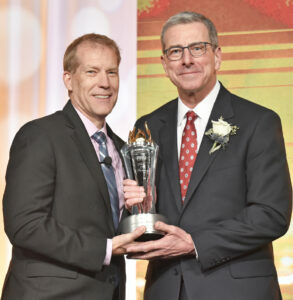 Gene Geiger, right, CEO of Lewiston-based Geiger, was inducted recently into the Promotional Products Association International Hall of Fame at the industry’s annual expo in Las Vegas. 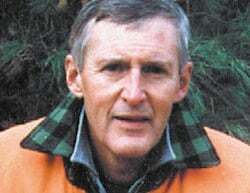 Geiger is the 86th professional named to the industry’s hall of fame, following in the footsteps of his father, Ray, and grandfather, Frank. Dale Denham, left, chairman of the PPAI board, presented the award to Geiger.